If I’m being totally honest, I feel kind of silly writing this post. I started college 11 years ago and graduated from it 7 years ago. In many ways, this chapter of my life feels like a distant past. It’s not something I dwell on frequently. 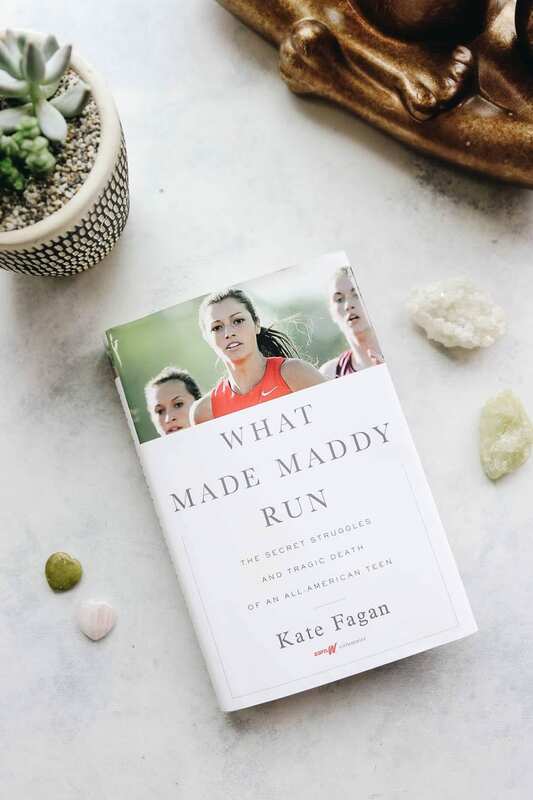 However, a few weeks ago my friend Kait Hurley came onto the podcast and recommended I check out Kate Fagan and her book What Made Maddy Run. Little did I know a week later it would end up on my doorstep. Kait graciously sent me a copy to read and without hesitation I jumped in. I ended up starting and finishing the book in two days. 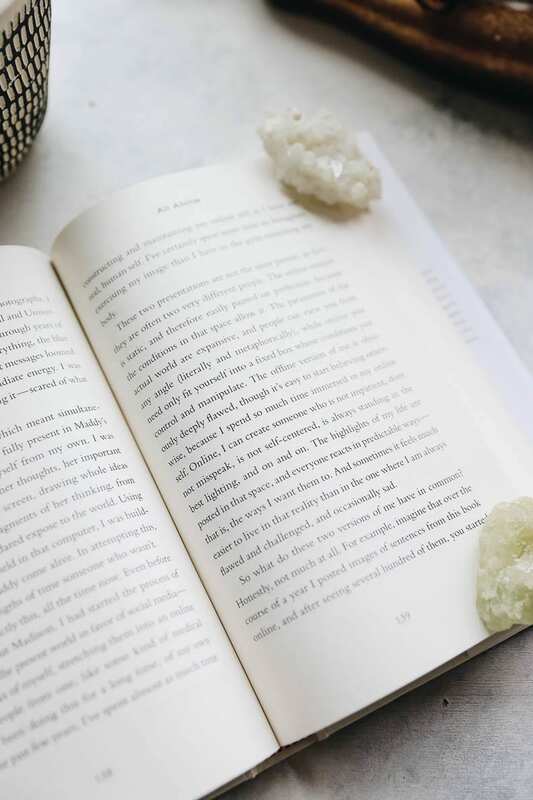 The book tells the story of Maddy Holleran, an 18 year old uPenn student who after a rough transition into college ended up committing suicide in her second semester. It is a tragic story and one with an ending I can never comprehend, but the book also jumps into the topics of transitions, mental health and how social media plays a role in this. The part that really hit home for me was Maddy’s struggle with transitioning to college. I too struggled hard in this transition and can easily pinpoint the start of my mental health challenges with the start of college. In reading Maddy’s story I’ve come to realize that it’s never too late to share your own. I’m sharing mine for anyone who is preparing or currently in college and is having a tough time. And also for anyone who has felt shame in their own college experience. I, like most kids (we were kids – I was 17!) was excited to finally move out and spread my wings in college. I had imagined this incredible 4 year supernova that I’d one day look back on as the highlight of my life. I couldn’t wait to make new friends, control my schedule and not feel like I had parents/teachers/coaches breathing down my neck. What I hadn’t anticipated was that behind every supernova is an explosion of epic proportions that I certainly wasn’t prepared for. I remember looking around my dorm room on my first day of college and feeling my chest seize in panic. “Who do I talk to?”, “What if no one likes me?”, “WTF is Minerva and if I want to become a lawyer/doctor/teacher how do I figure out what classes to take?” My parents raised us to be pretty independent and resourceful humans but in that moment, I’d never felt so alone. The thing about loneliness is that for some it is motivating, and for others its debilitating. I fall into the latter category. Loneliness gets into my head and starts feeding me lines like “no one will like you”, “everyone is judging you for having no friends”, “you’re better off just hanging out in the library”. None of these lines serve any purpose except to pull me further and further away from the people who I so desperately sought to get close to. Things only seemed to progress and by 3 months into college I had what felt like my first true emotional breakdown. I was sitting alone in a coffee shop in Montreal and for a brief moment felt myself leave my body. In looking down on myself, the person who was sitting there felt unrecognizable to the person who I knew. Tears streamed down my face but I didn’t make a sound. It was both surreal and terrifying. When we all came home from college during Christmas break I masked this fear and struggle and played along as my childhood friends shared their first semester stories and all the new memories they were making. I’m sure that in this bunch there were others who were struggling too, but if they were it certainly didn’t feel socially appropriate to talk about it. We were “supposed” to be having the time of our lives. Unlike Maddy’s story, where things took a tragic turn in second semester, things started to look up for me when I returned in January. I reconnected with some high school friends at my school (not “new” friends but friends nonetheless) and started planning for when we’d move out of dorms and into our own apartments. I got to know the city better, made a few acquaintances on my floor and sort of got the hang of school. More importantly, I started to see a counsellor. 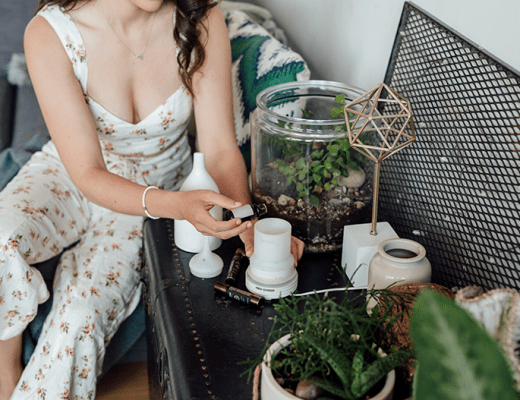 She assured me that even if it didn’t feel that way, many people struggle in their transition to college and that putting pressure on myself for it to be so amazing is just setting me up for disappointment. I never felt like I fully clicked with her, but in hindsight I realize how important it was that I had someone to talk to and I’m grateful to my school for having this resource – though I do still feel like most colleges could do more to support their students mental health. It was during this time that my disordered eating began. It would take me many years to put this all together but I see clearly now that when life felt like it was spinning out of control, I always felt like I could control what I ate. It was also during this time that I was diagnosed with Generalized Anxiety Disorder (GAD) and Depression. It’s been 10 years since receiving this diagnosis and I’ve definitely made peace with it, but I remember at the time feeling so ashamed. I truly felt like I was the only one struggling, but in receiving this diagnosis I could also begin implementing ways that I could better support my mental health. The next 3.5 years were a lot of ups and downs. More ups than downs but the immense pressure of college mixed with being an impressionable 20 year old with major body image issues certainly had an impact. I did make some new friends, joined communities and graduated with a badass GPA that has done virtually nothing to further my career (you mean you can’t major in blogging?!). I learned how to live on my own, have a best friend who I wouldn’t trade for the world and in the 2 months of the year when it wasn’t winter in Montreal I did actually enjoy myself. I also learned the all important lesson of supporting your mental health and that even though people can seem like they have it together on the outside, that doesn’t necessarily mean they have it together on the inside. I look back on those years as a season of my life but not something I’d ever want to relive. They propelled me forward but they were hard, really hard. Know that if it is currently or was also really hard for you, that’s okay. You are not alone. And please please please seek help. Find a counsellor on campus you can talk to or search for one here. There is zero shame in caring for your emotional well-being. In fact, one day you’ll applaud yourself for it. Also know that like most things in life, it will pass. Like I said, college feels like a distant memory for me. It certainly had a large impact on me but it’s not something that I think about frequently. So while I’m not going back anytime soon for homecoming and the only McGill pride I have is in my extra-large sweatpants that I sleep in, I’m glad I did it. What was your college experience like? Join 10,000+ members of the THM Community to get access to exclusive info about healthy living, products I'm loving and tips and tricks on making a healthy lifestyle easier and sustainable. I completely agree! College was really lonely for me as an introvert, and I felt embarrassed that I wasn’t out with a group of girls partying or partaking in all of the other “normal” college activities. I definitely came more into myself once I graduated and started working, so all is good now, but I definitely would not go back and do college over again! I was just gonna comment, but you’d never have met Curt if not for that experience, and then I read the last line of the post 😉 Yes, just goes to show that everything we go through is part of our story and is a necessary chapter. I definitely struggled last year as a freshman and only really started to feel comfortable this year, but my best friend still feels very lonely here. I always tell her exactly this, that this isn’t her entire life and the things she is learning and experiencing at college will all help in some way in her future. Thank you for sharing this. Thank you so much for writing this. There is so much truth in these words and I can nearly exactly relate to your entire story. My first semester, like yours, was a terrible whirlwind of tears, anxiety, and loneliness. In the second semester things picked up, but I eventually transferred schools. I wish I could say that was the magic answer, but it wasn’t. The next 3 years were more of the same, but again like you, a season I am glad that I experienced but will not be wanting to return to. College is also where many of my disordered eating and exercise habits stemmed from. It’s crazy how similar our stories are (down to an outstanding GPA), showing that there are probably many more women with similar stories. So thank you Davida, your words are truly a blessing. This is a great share, I was a freshman advisor in my last year and I could see how hard it was for the majority of the students to adjust to this new time in their life. Thankfully, I had a wonderful college experience and would totally do it all over again. But I believe this post is more relatable to most people! Thank you for your vulnerability. Wow, thank you so much for sharing! 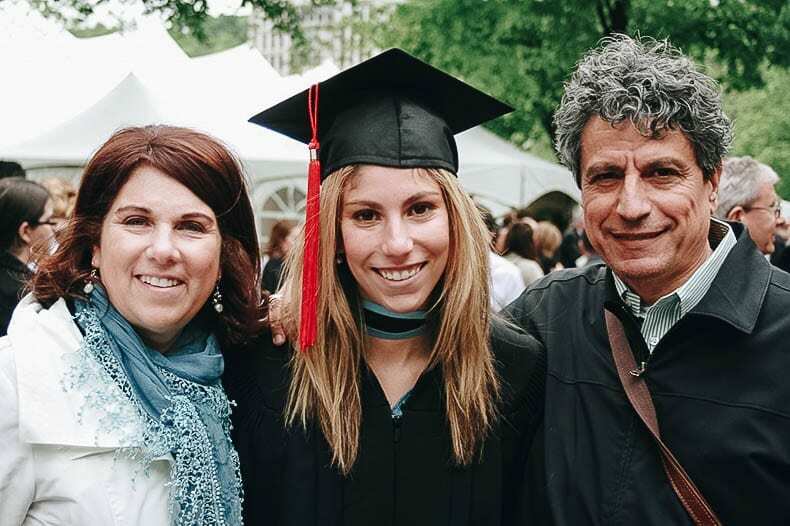 Our daughter also struggled with mental health issues in her college sophomore year, which lead to her almost being tossed out of college. Luckily, she had some very close friends there that helped get her back on track and held her accountable, but were also always available for talking. My wife and I had no clue she was struggling until she called home at the end of the first semester that year to tell us about the probation letter she had received. We now have a granddaughter starting college this fall and wonder about whether we should provide a link to your blog post. We are not sure how she would react (“Really Grandpa, you think I have mental health issues???”). But it is a real problem for kids entering college – an acquaintance whose daughter started college in fall 2017 told us that at her orientation, they were told that 25% of new freshman are already being treated for some type of mental health issues when they enter college, up significantly from just a few years ago. What have we as a society allowed to happen to our children that this is the case?? Thanks for sharing this Davida, I am sure so many people can relate on some level as I did. The book you read too just breaks my heart but I am definitely adding it to my reading list. My college road was pretty all over the place but in general I too struggled with insecurities, not fitting in , anxiety and disordered eating. Low and behold I had a stellar GPA just like you and once I transferred to a University became involved in a lot of things mainly to keep myself overly busy. I was struggling with a lot of external things outside of college life with family members, relationships and mental health (months of depression/not getting out of bed, dappled in alcohol…). Gosh things that are really difficult for me to talk about and I honestly wish I would have seen a counselor during that time. I think for being so young that was very courageous of you to seek help. This was such a heartfelt and interesting post. Maddy’s story seems very tragic and I’m sure that a lot of other people can resonate with the struggles both you and her dealt with. It is amazing that you have come from the other side as a stronger and wiser individual. Being a sophomore in college, I struggle more with personal pressure in terms of academics, body image, working hard, and just trying to balance everything possible. I learned that it’s more important to be kind and enjoy the experience rather than tackle on too many commitments. Otherwise, you don’t get a chance to learn anything in-depth in an intimate manner! College was definitely not the best four years of my life. I felt like I didn’t fit in with the people at my school. I couldn’t find the right group. I joined a sorority even know I knew it was everything I was against. I quickly became over the frat parties and going to the same 3 bars. I was left out a lot and felt very alone most of the time I lived there. I was pretty miserable. Luckily I met my now fiance and moved out of the sorority into my own apartment with another girl. I became a bit happier but I felt much better when college was over. 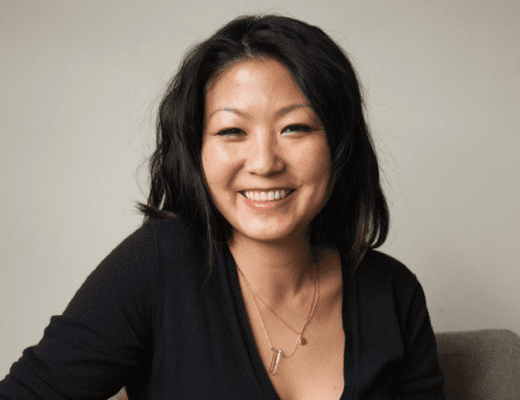 Episode #57: Anjie Cho + All About Feng Shui!